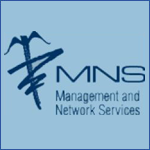 Management and Network Services, LLC (MNS) is a full-service messenger model network of affiliated skilled nursing and rehabilitation providers, serving the needs of commercial insurers, self-insured and third-party administrators, as well as federal, state and local government agencies. Founded in 1996, the company has grown from a small organization serving Ohio to a national network that also includes Indiana, Kentucky, Wisconsin, Michigan, Illinois, Kansas, Missouri, Colorado and Utah. Today the main office is located in Dublin, Ohio, a suburb of Columbus. As the MNS national network expanded to other states in recent years, the company began to face a series of information technology challenges that threatened to undermine its effectiveness as the "middle man" between insurers and health care providers. Running their network operation from multiple on-premise servers, MNS' two-person IT team had a difficult time keeping the network up and running. Downtime was a monthly occurrence that could last hours, interrupting some 5,000 to 6,000 daily emails and faxes that flowed through MNS as the go-between for providers and insurers. This could result in patients remaining in hospitals for an extended stay, rather than being moved to a more comfortable facility. The insurers also wanted MNS to meet disaster preparedness requirements that would protect valuable patient data from being destroyed on MNS' on-premise servers in the event of a catastrophe. Moreover, the growth of the MNS network translated into higher and higher IT costs, in terms of buying new servers, upgrading software, paying licensing fees and incurring ongoing maintenance costs. "The answer to all our problems was to simply migrate to the cloud — where Microsoft could give us a more reliable, available, secure and less expensive network to maintain," says Maria Clemens, MNS' Director of Reimbursement and Information Technology. "But we needed help to make the transition." Clemens hired Affiliated, a leading Ohio technology and professional services company and Microsoft Partner, to establish a migration path and deploy cloud-based email and file-sharing solutions, through Microsoft Office 365. Under a tight four-month deadline, Affiliated successfully migrated MNS to the Microsoft cloud, including Exchange email for 120 users and SharePoint filesharing for almost 100 users. Along the way, Affiliated solved a number of "highly complex technical issues" that could've stopped the migration in its tracks. Among the most critical issues, Affiliated figured out a way to reroute hundreds of daily faxes into email inboxes, so the appropriate personnel could act upon them in a timely manner. "This was key," Clemens explains, "because it meant we could react quickly to provider requests by fax in the cloud. Affiliated solved that tricky issue." Clemens says MNS will realize substantial annual savings of at least 30 percent by eliminating regular maintenance costs, fees, upgrades and future hardware investments. Affiliated also trained MNS staff to train future employees on how to work effectively within a cloud-base environment—again, resulting in a substantial savings for MNS down the road. Moreover, by operating in the cloud, Microsoft provides MNS with a more reliable, available and secure infrastructure, plus 24/7 technical support, to keep the network humming, without downtime. "I can't tell you what a relief it is not to worry about whether the network will go down," Clemens says. "Because we're more stable in the cloud, we do a better job at facilitating quality patent care between insurers and providers. That's the bottom line." Offices 365 allowed MNS to put both email (Exchange Online) and file sharing (SharePoint Online) on the cloud. On the latter, remote MNS workgroups can now collaborate on projects and update information, again without fear of drives crashing and losing data. About 80% of the MNS network uses cloud file-sharing, including key committees, who can work on documents from around the country, and in real time. Clemens' IT department also plans to use SharePoint Online for ticket tracking to resolve IT issues across the network. "Ultimately, the Microsoft cloud is helping us become a more productive organization—all while cutting IT costs," she says. "Doing more for less—that's just good business." Since 1993, Affiliated has been helping growing and midmarket organizations identify, evaluate and implement technological solutions to improve operational efficiency and increase revenue. As a member of the Microsoft Partner Network certified in both Microsoft Platform and Microsoft Dynamics CRM solutions, as well as a VMWare Enterprise Solution Partner, Affiliated specializes in providing complete technology solutions including both software and services to organizations in multiple industries including distribution, manufacturing, healthcare, professional services, government, and notfor-profits. Learn more about how Affiliated can benefit your business. "By migrating our email and file sharing to the Microsoft cloud, we've improved the way we communicate and coordinate with hospitals and acute-care facilities, helping them deliver better patient care." A third-party managed care network serving the insurance industry wanted to migrate 120 email users to the cloud, eliminating downtime and expensive administrative costs of on-premise servers, and reducing overall IT costs. Affiliated developed a migration path and helped to deploy cloud-based Microsoft Exchange email and SharePoint file-sharing solutions through Microsoft Office 365. They also provided customized integration services and resources to train MNS employees. Reduces monthly IT costs 30% by eliminating maintenance costs and licensing fees as well as future costs for new hardware and software updates; meets disaster preparedness requirements of insurers; eliminates plaguing server downtime, resulting in better customer service and improved patient care. "We have a small IT staff, so working with Affiliated allowed us to transition to the cloud rather easily. They even trained our employees to train others on cloud solutions, which will save us money in the future. I can't say enough about the responsiveness, thoroughness and professionalism of the Affiliated team." Sign up for Affiliated's Email Newsletter to receive news about webinars, product updates, and demonstrations.